Ahmad Khan, nephew of the late Sher Shah, whose sister was married to Mahmud Adil Shah having procured the aid of Haibat Khan and other chiefs, who had been created nobles by the late Salim Shah, assumed the title of Sikandar Shah, and marching with 10 or 12 thousand horse towards Agra, encamped at Kurra, within twenty miles of that city. 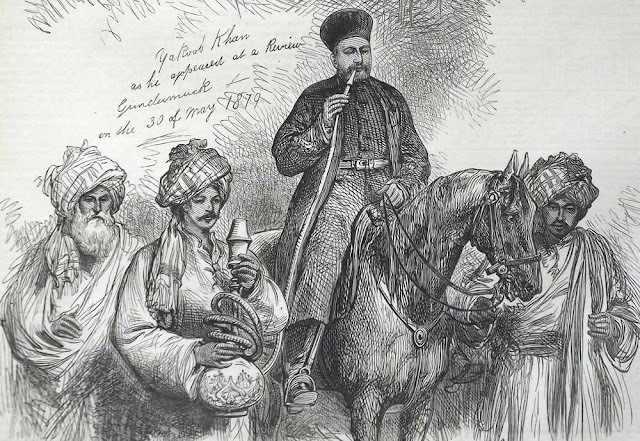 Ibrahim Khan opposed him with 70,000 horse, but nevertheless was defeated. He then, abandoning his capital, retreated to Sambhal, while Sikandar Khan took possession both of Delhi and Agra.
" I esteem myself as one of you : having thus far acted for the commonweal, I claim no superiority. Bahlol raised the tribe of Lodi to glory and reputation ; Sher Shah rendered the tribe of Sur illustrious ; and now Humayun the Mughal, heir to his father's conquests, is watching an opportunity to destroy us all, and re-establish his government.